Over the past week my studio in Margate has been blessed with the presence of Mark Andrew Webber and his amazing linocuts. 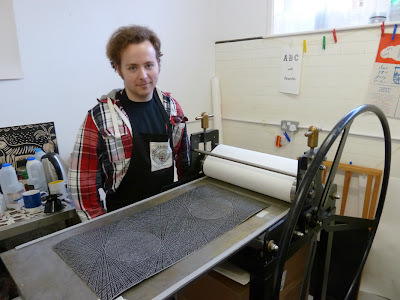 Mark is best known for his large-scale typographic maps of cities but as my printing press is a more modest size he brought along three brand new ‘small’ linocuts to print. 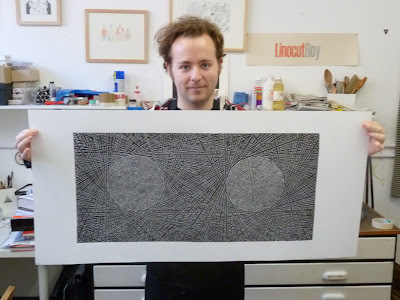 Mark’s largest linocut was too big for the press so he printed it by hand with a wooden spoon. 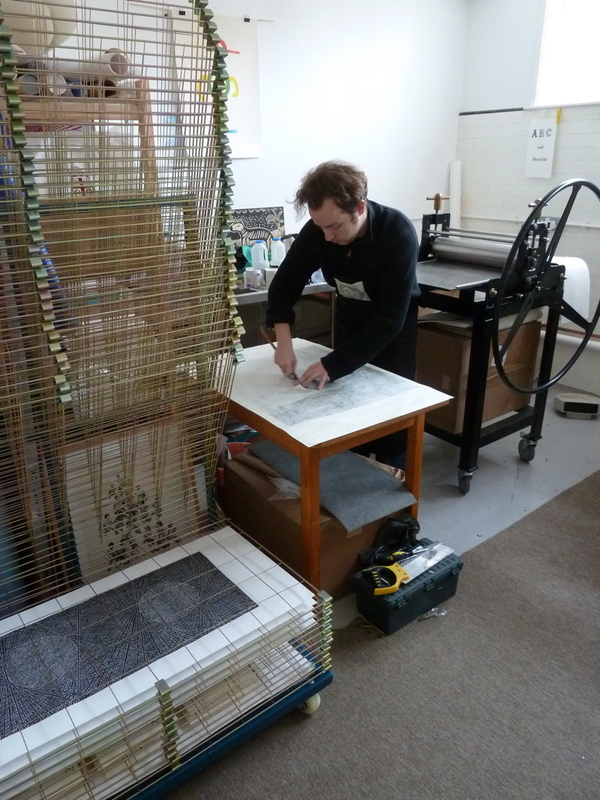 On the left you can see my new print drying rack which he had filled by the end of the week. 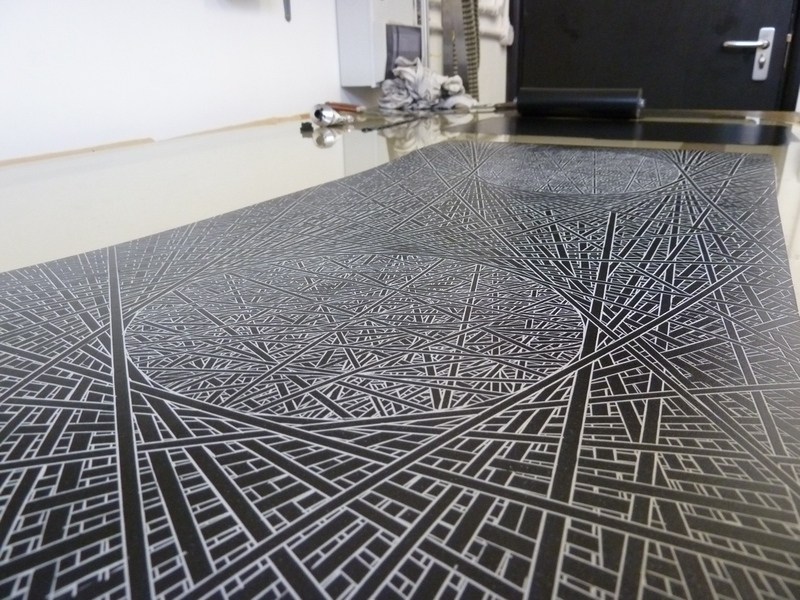 This was not down to speed, but several late nights of printing long after I’d gone home! 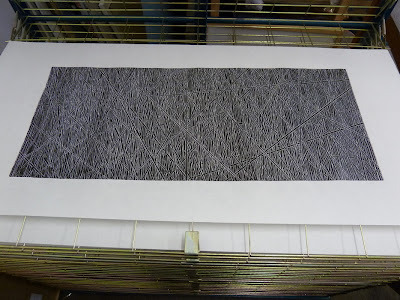 In the above picture you can see the runners on the etching press (the thin strips of linoleum on each edge of the bed). These keep the top roller of the press at the same height as the block to be printed so as to avoid everything moving as it goes through. We cut the paper to size so it fit snugly between the runners to maximise the border of the print. 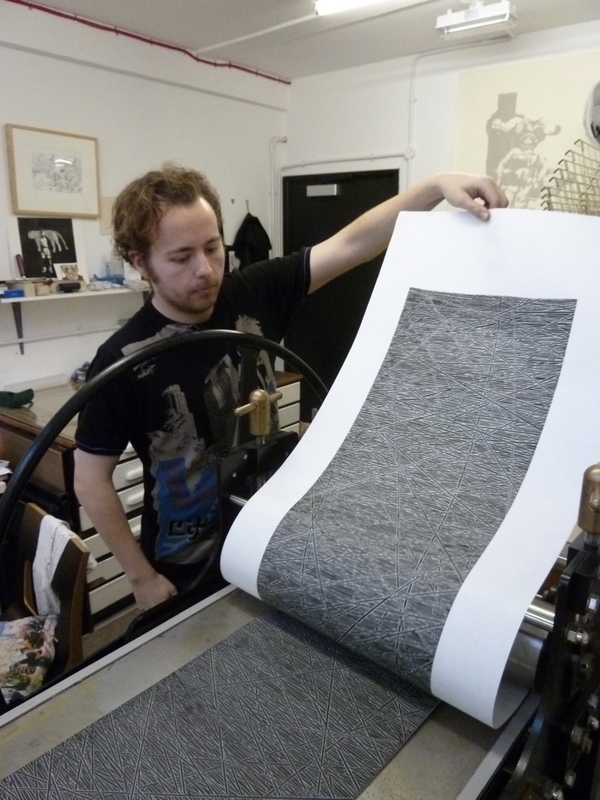 You can see more of Mark’s prints, including his typographic maps, at the Future Tense website. Mark will also be exhibiting with me in Linoleum: the Cutting Edge at HemingwayArt in Oxfordshire next month. 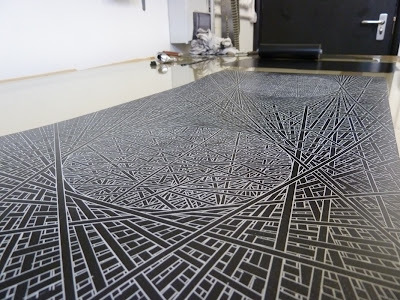 I would love to see these prints “in real life”. They look so textural and quite fascinating. Looks as if you had a great week, with your studio visitor. It's inspiring to have another artist around, who produces amazing work!